But still, I am happy and proud to say I am an OA mom. Sometimes, it's okay to be OA. And what's wrong with being an OA mom? I mean, it's okay to be "always prepared" and proactive because as a mother, you simply want only the best for your baby with no compromises. That only means having a genuine concern for the wellness of your child. Seriously, mga mamsh! If there's one thing that sets OA moms apart from the rest, it's that they have mastered the ability to get the best products for their child rather quickly. Though with so many new baby products out there, the decision of which ones to buy can be exceptionally difficult. This is especially the case when choosing the right skincare products for our babies. 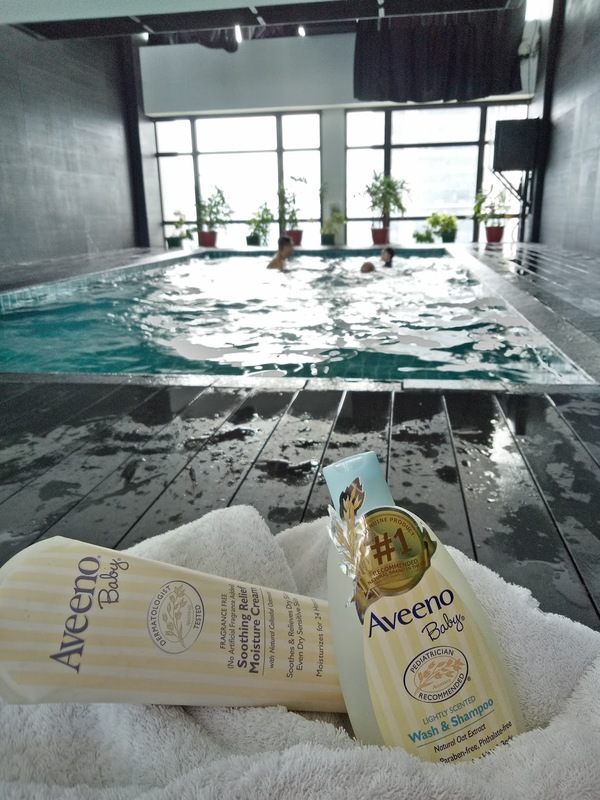 Luckily for you, I've tested a few products from Aveeno to share what they have to offer for OA moms like me. When trying out new products, I always do the simple task of checking the ingredients of the products my baby will use because it’s always important that I only provide him with the best and safest products. That being said, happy to report that Aveeno is Paraben-Free, Phthalate-free, SLS-free, and free from toxins! Aveeno Soothing Relief Moisture Cream relieves and protects dry skin, fragrance free and moisturizes for 24 hours. That's why my baby's skin is so much more supple and less itchy now! It contains no drying alcohols and won't clog pores. It’s formulated to be hypoallergenic, fragrance-free and gentle enough for daily use on baby's sensitive skin. Aveeno Baby Lightly Scented Wash and Shampoo is tear free, soap free and paraben free. This product is really good in cleansing my toddler's hair and body, and slowly his skin has improved. Now I use this daily for my baby and he feels so refreshed after every bath. It smells amazing too! 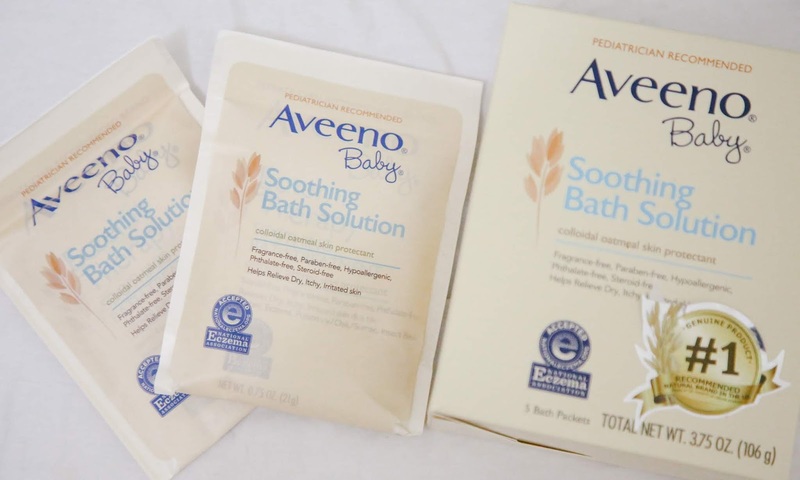 Aveeno Baby Soothing Bath Solution is pediatrician recommended, fragrance free, and paraben free. This bath treatment effectively relieves dry, itchy skin caused by eczema, rashes and other minor skin irritations. It’s formulated with Colloidal Oatmeal that has been finely milled. You just have to dissolve it in water, and it forms a milky bath that soothes as it naturally cleanses without soap. After bathing, my baby’s skin is softer and his dry, irritated, sensitive skin is relieved. 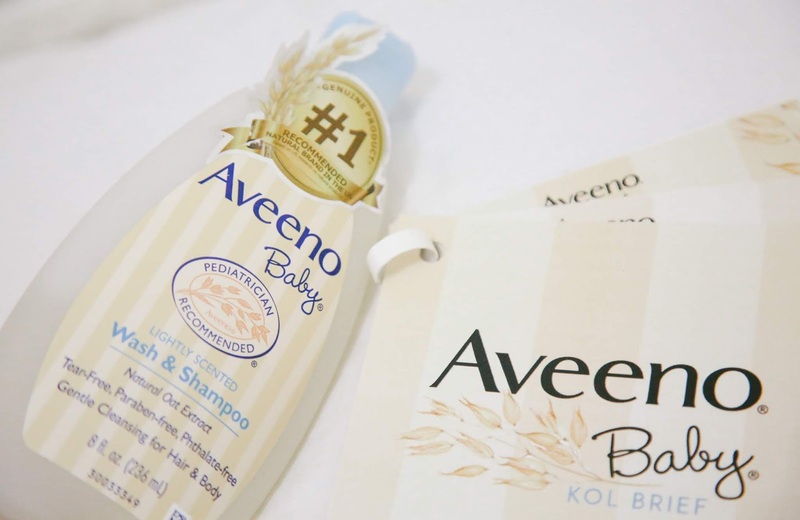 Aveeno Baby is available is available in all leading drugstores, groceries and online at Lazada.